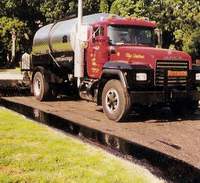 It is hear now information on our equipment and how it is used to effeciantly apply and handle our truck applied ashpalt emulstion for pavement overlay applications. 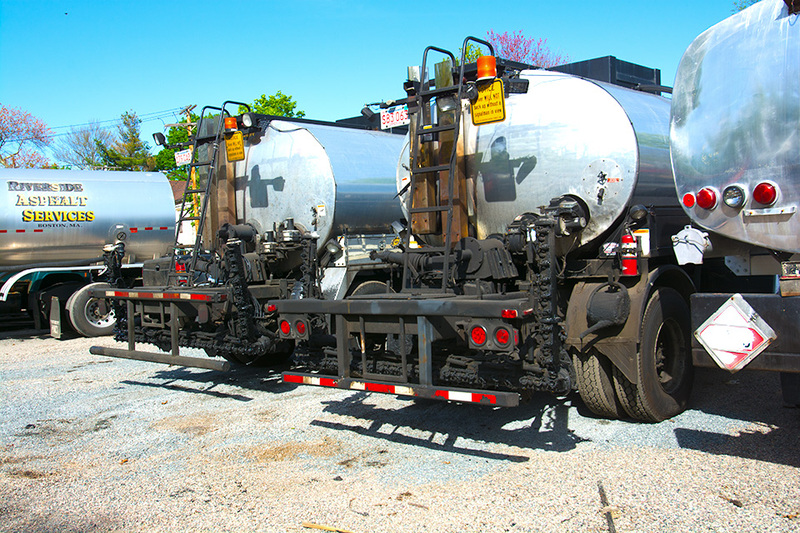 Our fleet of entenyre asphalt distributor trucks are owned and operated by us. We are a specialty contractor that does one thing handle and apply RS-1 tack coat for local contractors in our service area. Being focused on the nuances of these trucks helps us now what to do and when to do it. 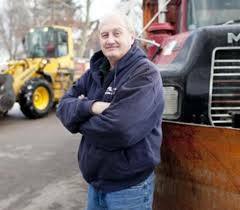 Our employees have worked for us an number of years each and know how to be at the right place on the job and take the right steps to prevent problems with the equipment so the application goes smoothly. 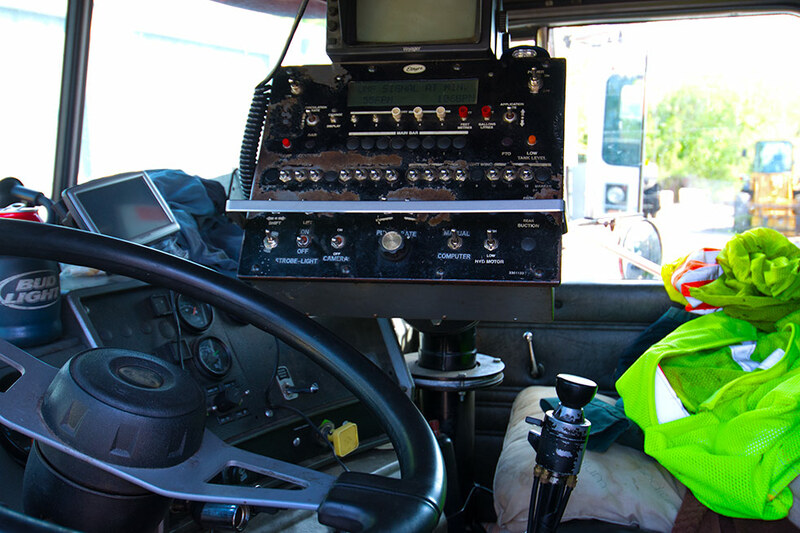 Each truck is set up with cab mounted controlls that allow for application paterns that can be set in one inch increments if needed. On any particular project the exact application rate is dialed in by the operator and the computer and the flow is automatically adjusted by the computer based on road speed so the application rate specified for the project is maintained regardles of road speed. The goal is to constistantly apply the right amount of tack coat regardles of the job site manuvers required by the operator to work either on open expanses or in and around tight places with equipment and people that is common at the start of the overlay. Correct application rate certainly affects the durability of an overlay project to bond the layers together and we do that. An overview of our equipment designed to be efficiant at the tasks we do. Relativly large tonages of stone are easier to handle with out making a mess on the job site is important. All construction projects in one way or another revolves around efficiant material handeling. For our chip seal projects this truck is set up for precise control of material to be metered off the back of the truck into our custom motorized buggies. The combination of the two eliminates the need for wheelbarrow work. With a controlled pace of work the staff can focus on doing the right meticulous work placing the stone correctly and not in drains, landscaping or grass. 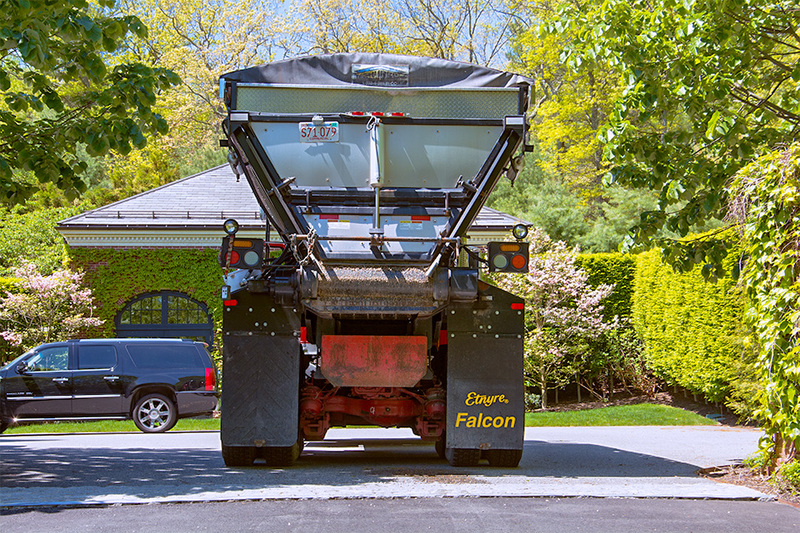 The customer base that has a chip seal driveway installed does not want a sloppy job, they want the right job. 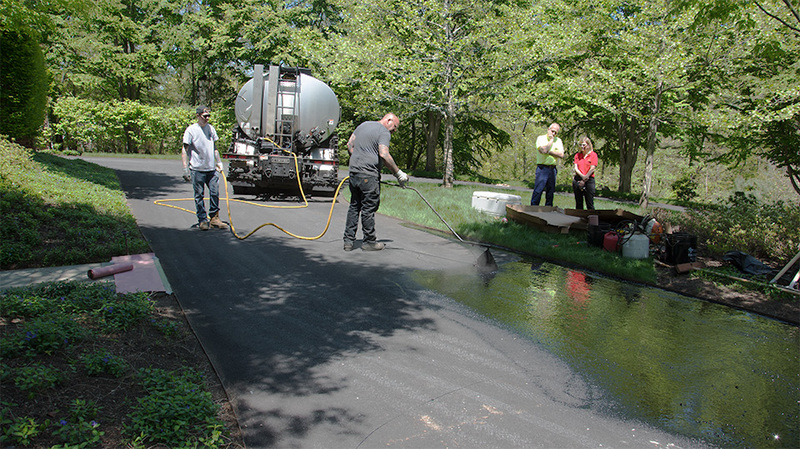 For chip seal paving projects we do not us the same product used on asphalt overlay projects. With an overlay pavement project in Massachusets RS-1 is used. It is thinner and less viscous compaired to MC-300. What this means is RS-1 is harder to apply on a slope since it tends to run off. The product we us MC-300 goes on thicker so it is better at bonding to the bottom half of the stone because it goes farther up on the stone. It is sort of like a thin water vs a thick molases consistancy. So for this situation we get a more durable product end result with MC-300 or chipseal applications.